If you're a Basic user and you linked more than three devices prior to March 2019, all of your previously linked devices will remain linked, but you can’t link additional devices. This entry was posted in Cloud, Computer, Murmuring, Network, Service, Software and tagged basic, device, dropbox, file, free, linux, pcloud, service, sync, syncthing, user on March 15, 2019 by Gea-Suan Lin. A basic license is not entitled to security features. To try out security you need to use a trial license or obtain a subscription. In addition to Elasticsearch and Kibana, the first release includes a set of advanced security, event monitoring & alerting, performance analysis, and SQL query features (more on those in a bit). Security – This plugin that supports node-to-node encryption, five types of authentication (basic, Active Directory, LDAP, Kerberos, and SAML), role-based access controls at multiple levels (clusters, indices, documents, and fields), audit logging, and cross-cluster search so that any node in a cluster can run search requests across other nodes in the cluster. 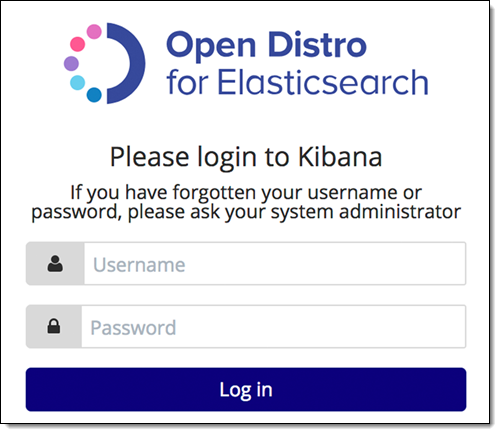 In addition to the source code repo, Open Distro for Elasticsearch and Kibana are available as RPM and Docker containers, with separate downloads for the SQL JDBC and the PerfTop CLI. This entry was posted in AWS, Cloud, Computer, Murmuring, Network, Search Engine, Security, Service, Software and tagged amazon, aws, cloud, distro, elastic, elasticsearch, engine, free, kibana, license, open, pack, search, security, service, software, source, stack, x, x-pack on March 12, 2019 by Gea-Suan Lin. 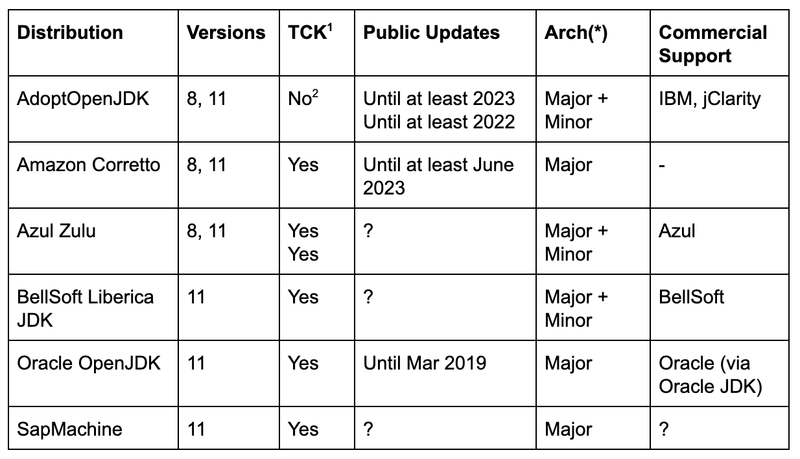 We've released version 2.0.0 of Java Is Still Free (https://t.co/VvAPtBYE1C) - giving you a full and balanced view of the #java and #openjdk choices you have going forwards, including commercial support, $free and free to use - read it today! This entry was posted in Computer, Murmuring, Programming, Software and tagged alternative, binary, commercial, distribution, free, java, jdk, jre, language, license, open, openjdk, oracle, programming, source, support, tck on March 4, 2019 by Gea-Suan Lin. This entry was posted in Computer, Murmuring, Network, Service and tagged free, github, private, repository on January 8, 2019 by Gea-Suan Lin. We are currently offering an introductory Pro Account special -- Buy yourself (or a friend) an annual Pro Account for US$41.77 and save yourself around 30% from the anticipated annual price of $59.95. That's less than $3.50 a month! This entry was posted in Computer, Murmuring, Network, Photo, Recreation, Service and tagged flickr, free, photo, pricing, pro, smugmug, yahoo on November 2, 2018 by Gea-Suan Lin. This entry was posted in Computer, Murmuring, Programming, Software and tagged avast, debugger, decompiler, engineering, free, freeware, ida, license, mit, retdec, reverse, version on February 4, 2018 by Gea-Suan Lin. The European Parliament has approved budget to improve the EU’s IT infrastructure by extending the free software security audit programme (FOSSA) and by including a bug bounty approach in the programme. This entry was posted in Computer, Murmuring, Security, Software and tagged audit, bounty, budget, bug, eu, european, fossa, free, hacker, it, news, open, parliament, programme, security, software, source, videolan, vlc on December 6, 2017 by Gea-Suan Lin. AWS CodeBuild now further enhances securing your build environment. CodeBuild can now store sensitive information as secrets, which can now get directly passed to your build jobs. This can be achieved by modifying the parameter store directly in your buildspec.yml, or via the CodeBuild console. We strongly discourage using environment variables to store sensitive values, especially AWS access key IDs and secret access keys. Environment variables can be displayed in plain text using tools such as the AWS CodeBuild console and the AWS CLI. For sensitive values, we recommend you use the parameter-store mapping instead, as described later in this section. This entry was posted in AWS, Cloud, Computer, Murmuring, Network, Security, Service and tagged amazon, aws, cloud, codebuild, free, parameter, pricing, quota, secret, security, store, tier on September 23, 2017 by Gea-Suan Lin.